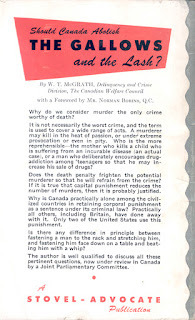 Capital and corporal punishment in Canada were abolished in 1976 and 1972 respectively. 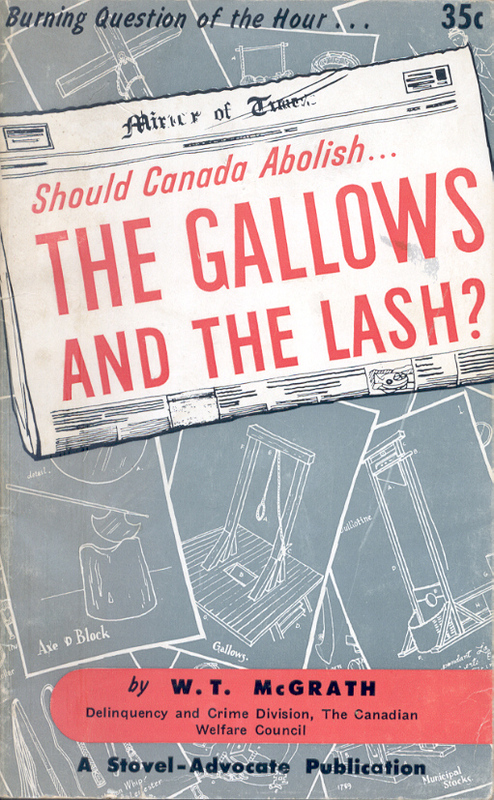 Capital I knew but this newly unearthed paperback from 1956 (thanks Grant) opened my eyes to corporal punishment in Canada. The title is accurate. The Courts could, until 1972, sentence people to a lashing as well as a strapping under the provisions of the Criminal Code. 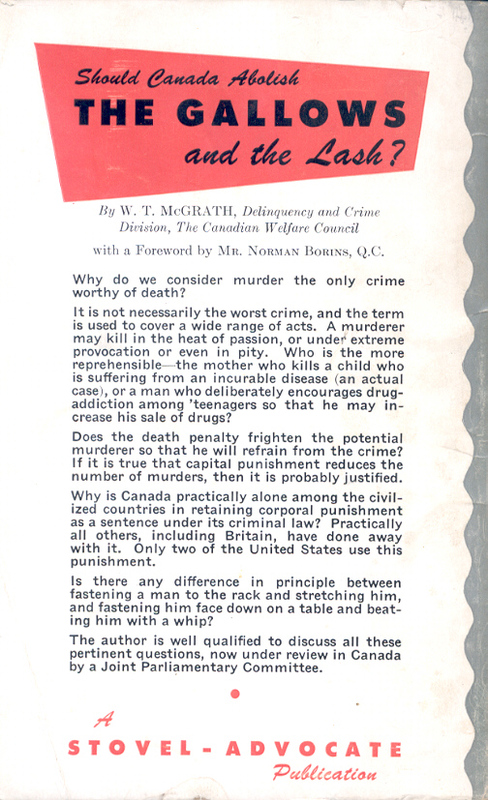 For instance there were 33 lashings and 14 strappings associated with over 15,000 convictions in 1952. Wardens of prisons could also use them to maintain order. Amazing it took until 1972 to end. 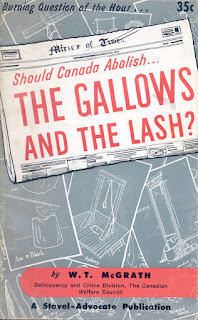 This uncommon Canadian paperback was published by Winnipeg's Stovel-Advocate.